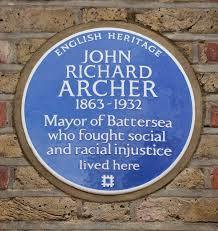 Between the 1860s and the 1890s the population of Battersea grew from around 20,000 to more than 160,000. This rapidly growing workforce was herded into new factories. With a continuously expanding population, employers could keep wages low. Housing development struggled to keep pace with industrial development. The area soon became as notorious as the East End for its overcrowded, insanitary conditions, and shared similar social problems, especially alcoholism, criminality and prostitution. Battersea was crying out for people with the vision and capability to turn these circumstances on their head. Between the 1880s and the 1930s the area was blessed with four “tribunes of the people”, who attempted in their own ways to do just that. Each of these outstanding figures had the personality and inner strength to make a sustained difference in their own right, and, more importantly, to inspire others with their ideas and optimism that collective effort could bring positive change. Find out who the Battersea 4 were, and what they did!